Wrecks provide a fascinating window on the past and can be a museum of both human history and aquatic ecology. It’s safe to say that the knowledge, training and expertise needed to dive wrecks safely are as unique as the experience itself. We have précised the most important issues pertaining to safe wreck diving from a previously published article. This October, the Coolidge will celebrate its 75th Anniversary, so it’s a good time to look at how you can stay safe wreck diving. Wreck diving is often undertaken in challenging environments, but it can be done safely with the right training, experience and equipment. This is not the environment to be taking shortcuts. We have précised the most important issues pertaining to safe wreck diving from an article by, Richard Walker (M.D., M.S) and Joe Citelli, previously published in DAN’s Alert Diver magazine. 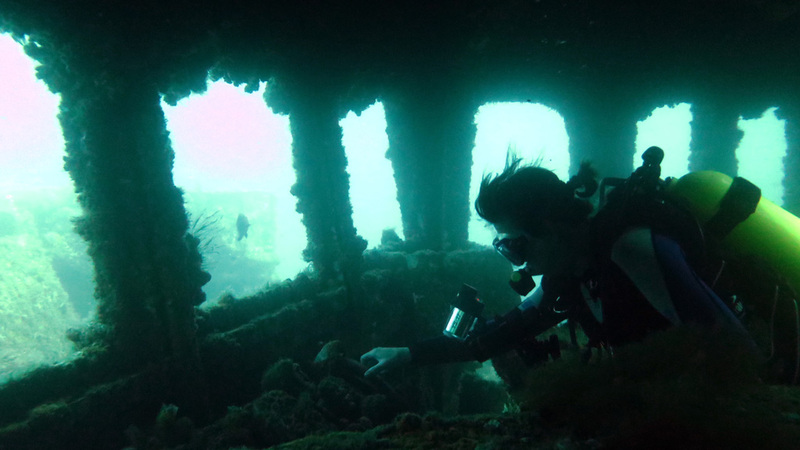 Wrecks provide a fascinating window on the past and can be a museum of both human history and aquatic ecology. It’s safe to say that the knowledge, training and expertise needed to dive wrecks safely are as unique as the experience itself. 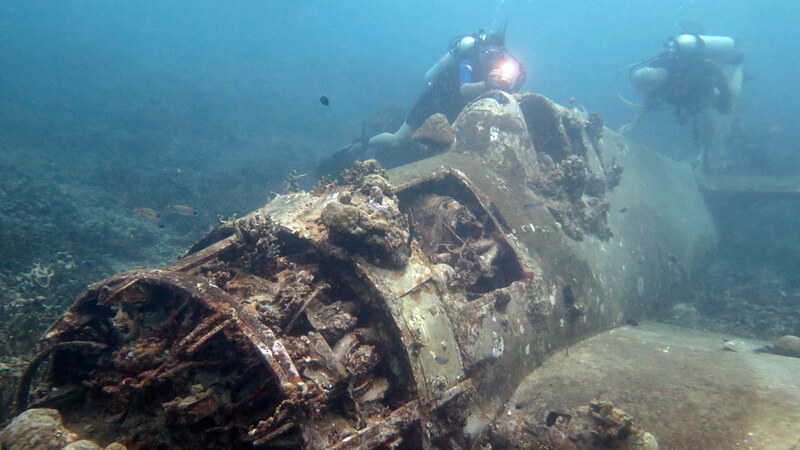 When will you be ready for wreck diving? Well if you want to dive Gizo’s Hellcat in 9m of clear, warm, still water you’re probably ready to dive right in; but it takes a while to work up to a low-visibility, cold-water, high-current, offshore, custom-blended-mixed-gas wreck dive. You have to master each component before trying to tie them all together. The Hazards of Wrecks – are you trained for it? Wrecks present unique hazards for those diving the outside as well as the inside of the structure. Like divers, fishermen love wrecks too, and though the outside of a wreck can seem deceptively safe, it can be shrouded by almost invisible lines and netting, the modern varieties of which are almost impossible to cut without the right tool – like blunt-ended trauma scissors. Furniture lying in jumbled heaps and wiring that your scissors won’t cut. Rooms turned to impossible and disorienting angles – which way was up again? Debris falling from above, possibly blocking a passageway or exit. Metal rusting to razor-sharp edges which can slice through your flesh, your wetsuit, or drysuit. That an errant fin stroke can mix the paint on the walls with the water in the room, giving it the consistency of blue milk. a 700-pound goliath grouper or any other marine critter napping in that wreck suddenly realises you are blocking their only exit. All of which you could possibly cope with, until your reaction to it kicks up the silt and the vis drops below zero and you’re at 40m and moving rapidly into deco. So as you can see, wreck diving can be done safely but requires training, experience and the right equipment. Introduce yourself to each of these situations individually – not together. Make sure for any given wreck dive, you’ve built the pre-requisites skills and experience. For starters you’ll need to be comfortable with big swells, high current and surge. Getting back into a boat in swell with a lot of gear demands a high level of physical fitness. In addition to being fit, you need to be skilled and stream lined – overexertion at depth can be a killer and is something to be avoided at all costs. Over-staying your planned deco, and you’ll need extra gas – of whatever kind you’re planning to take. And the longer it takes to get to the surface, the further you may have drifted from your surface vessel. Think about signalling equipment and EPIRBs. Bottom line: can wrecks be dived safely? Of course, people do it every day. But what makes it safest is that they are experienced in all the different facets of diving required before they dive that particular wreck, and trained for every eventuality – well certainly the ones we’ve thought of so far. You can read the full article by, Richard Walker (M.D., M.S) and Joe Citelli, previously published in DAN’s Alert Diver magazine here. Next Next post: Can I dive while pregnant?